The last track on Pepper Rabbit’s new album, Red Velvet Snow Ball, is a great example of the duo’s strengths. “Tiny Fingers” is lush and exotic, with sounds of broken sitars, brass, and wind chimes backing a gentle acoustic strum. Like everything on Red Velvet Snow Ball, it would be the perfect accompaniment to a day of greenery – lying in the green grass, staring at the green trees swaying above you, and perhaps indulging in something that would make the sky appear green. Pepper Rabbit produce songs that excel with a similarly breezy nonchalance, alert enough to cohesively execute layers of gorgeous arrangement but lost enough to become intoxicated by the hypnotic sound – which alternates from boisterously anthemic psych-rock to luxuriant piano-driven pop. It’s an album that finds Pepper Rabbit expanding their strengths toward their most unified effort to date. On “Rose Mary Stretch” a gentle acoustic guitar delivers a simple and appealing set of quarter notes, which creates a rippling effect pronounced by the xylophone-like synths. The explosive chorus that follows is hardly unpredictable or breathtaking, but provides an enjoyable moment that is best performed during its last instance – when well-executed percussion builds up in perfect alignment with singer Xander Singh’s nasally anthem-ready voice. It’s an accessible song, though certainly one of the tamest on Red Velvet Snow Ball in terms of experimentation and mood. Pepper Rabbit are not the type to stretch their legs out and produce lengthy experimental jams; rarely are their songs over four minutes. 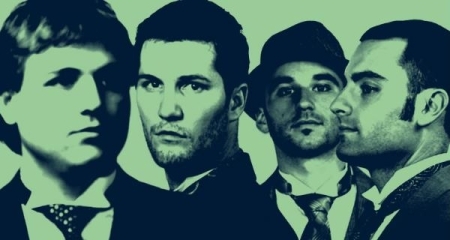 However, while remaining in psychedelia they focus on several interpretations of the style – most often implementing contemporary elements of electronic-pop akin to groups like The Helio Sequence, Metronomy, and French Kicks. They tout electronic influences, but never let them overpower the firmly entrenched psychedelic-rock flair. “Family Planning” is crisper, more sonorous psychedelia drenched in prominent bass and trickling electronic keys. The shrill siren-like sample that permeates before the chorus is backed by a gentle organ, both combusting when the harmonically enhanced verse returns. This bridge is far more interesting than the group’s straight-cut efforts like “Rose Mary Stretch” and “Lake House”, though the latter is jubilant and hazily infectious enough to serve as a joyous opener. It resembles relaxed yet joyous Brit-pop of the ‘90s, the sort where sunshine breaks through – think Supergrass’ Life on Other Planets or The Charlatans’ Tellin’ Stories. Then some Blur comparisons arrive with the stomping keys of “Allison”, nearly resembling “Charmless Man” in its initial excitement. “Allison” is more fragmented, with tingly key tremolos serving as the main force against the spontaneously designed vocal melodies. Simple as it may be, the fluttering piano melodies retain a gorgeous quality throughout. 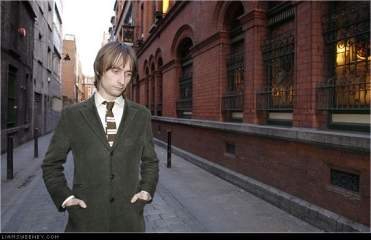 It produces a variety of durable hooks reminiscent of key-laden acts like Matthew Sweet and B.C. Camplight. 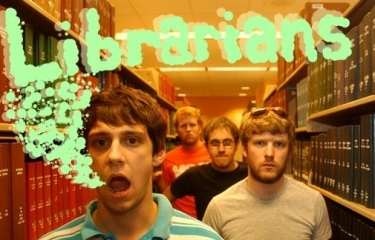 Plus, the finale – which incorporates fuzzy synths over overactive keys – is wonderful. The serene pace of “The Annexation of Puerto Rico” brings to mind both Scritti Politti and Blind Melon, with hazy strumming and gentle guitar-pop vocal accompaniments. It begins to wear thin by the second minute though, and it ends up being twice as long as it should be. The same can be said for “Murder Room”, which attempts a lovable sort of pop clumsiness but falls short due to the sheer lack of hooks. These two tend to be the only tracks on Red Velvet Snow Ball absent of such moments, with fascinating psych-pop hybrids and gorgeous key-laden ballads (“In Search of Simon Birch” + “The Ballad of Alessandro Moreschi”) providing both the emotional punch and gorgeous interweaved compositions that “Annexation” and “Murder Room” lack. 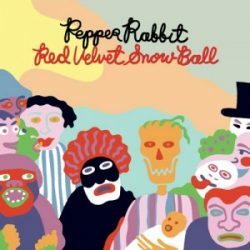 In general, Red Velvet Snow Ball is a gorgeously produced album with gems of both the psych-rock and soft-pop categories. 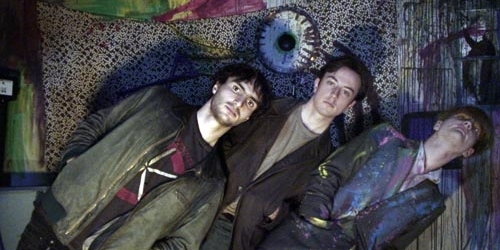 At times Pepper Rabbit resemble recent electro-pop/psych-rock hybrids like The Helio Sequence, while others trace back to late ‘80s/early ‘90s modes of piano-dominated pop music in the vein of Scritti Politti and a handful of successful Brit-pop experiments.